Back in January we released our low cost NavLink UK charting and navigation app which features real time navigation and full integration with our wireless range of interfaces for GPS and AIS data connectivity – the WLN10, iAIS and iNavHub. 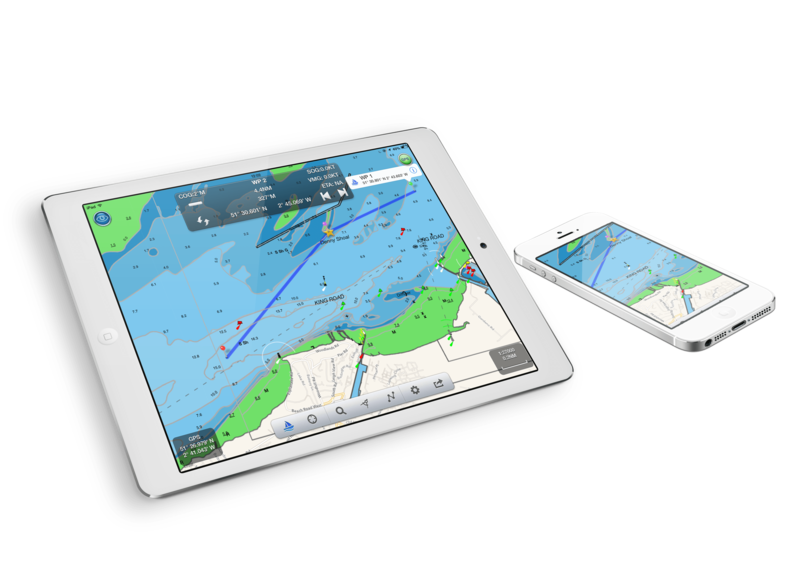 This allows Digital Yacht to offer a supported iPhone and iPad navigation solution with on board hardware sold through our dealer channel and a compatible app. With over 600m iOS operating systems, we can’t ignore the size of the market and a boater’s desire to use iPad’s and iPhone’s for navigation. At Digital Yacht we want to offer the best of solutions. Our UK app has now been upgraded to include detailed French, German and Dutch charting – all available through a simple low- cost, in app purchase. This now opens the market to French, German, Belgian and Dutch customers as well as UK yachtsmen sailing in these territories. 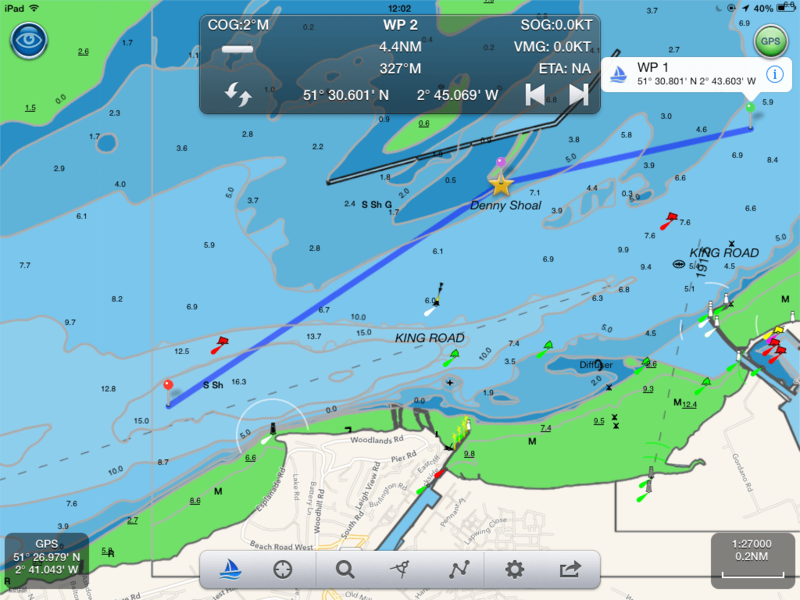 With NavLink, you can explore, plan and navigate your boating trips in real time and in high resolution using the latest UKHO digital vector marine charts covering the whole of the UK and Ireland which are included with the £19.99 app. For the additional areas, all that is required is an easy, low cost “in-app” purchase. Whilst using an iPad and NavLink is an attractive alternative to the cost of a dedicated touchscreen chart plotter, it does not compromise on features. Charts can be presented north up or course up and routes and waypoints are created and edited using a simple touch screen interface. Real time navigation shows your current position, track, course, speed, ETA, VMG, bearing and distance to next waypoint. There’s a simple A-B chart ruler too and you can tap on an object such as a buoy or nav-aid and get a pop up data window showing its characteristics. Its sharp, high-definition display enables simple zooming on detailed vector format charts, as well as allowing chart data to be layered and therefore de-cluttered. It’s also designed to work seamlessly with Digital Yacht’s NMEA to WiFi devices so will integrate with the boat’s GPS and AIS systems. If AIS data is available, you’ll see AIS targets overlaid with all their identity information and a heading line as well as alarms for CPA and TCPA. Utilising the on board GPS with these wireless servers means customers don’t need a GPS enabled iPad. Even if your device is GPS enabled, it significantly reduces battery drain when using an external source. It also means your iPad/Phone can be used below deck and generally, the boat’s GPS is superior for marine based navigation. NavLink also helps with watch keeping and lookouts. In its unique HorizonView mode, you can use the camera on the iPad to scan the horizon. You’ll get an overlay on the camera screen of nav-aids, AIS targets and waypoints which serves as a great visualisation tool. The app is purchased through the Apple app store and costs just £19.99. On board hardware is available through our technical and installing dealer channel which allows dealers and distributors to take advantage of the Apple sales revolution. I would suggest you use our WLN10HS connected to the NMEA0183 output of the AIT2000 unless you already have an NMEA2000 network in which case I would use our NavLink but please give me more info on the rest of your system before making a final decision. Please note that I think the NavPlotter software currently only supports a TCP wireless connection (only one wireless device can receive TCP data) and I am trying to persuade them to support UDP. Thanks Paul. I don’t use NMEA 2000 but could I use the output to connect into the Navlink unit and send the data to my iPad? Yes you could do this but you will need to buy a couple of NMEA2000 t pieces and terminators if you do not already have an NMEA2000 network on your boat. Any plans for an Android version? As far as i acn work out there is currently no Androd chart plotter supporting AIS plotting, not on propper UK charts anyway. What are your plans for Turkey and Greece?